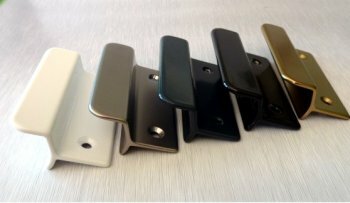 The product is dedicated for the customers who bought our sliding or balcony doors. The pad handles for balcony and sliding doors make it possible to carefully close the door when leaving a building. We recommend the pad handles of the well-known FKS brand. When compared with accessories of this type made by other manufacturers, the FKS pad handles stand out with their durability, aesthetic design and rigidity. Our offer includes five colour versions.